Alliance creates a "bigger engine" to meet demand for Skype for Business deployments. 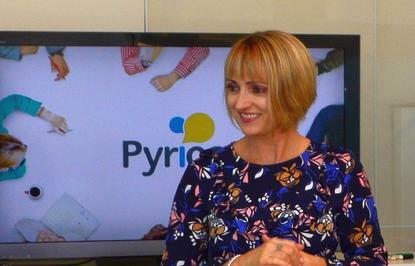 Robyn O'Reilly - CEO, Pyrios. Eyeing trans-Tasman opportunities, unified communications specialist Pyrios has bought 30 per cent of Microsoft integrator UC Logiq. Pyrios CEO Robyn O’Reilly said the investment was part of an alliance to offer Microsoft Skype for Business services to clients on both sides of the Tasman. Furthermore, O’Reilly said the deal would further build Pyrios’ skills in Microsoft services and integration to support the growing number of businesses using Microsoft Skype for Business as their principal communications platform. The alliance delivers benefits of scale to both organisations, she said, with Pyrios gaining direct access to UC Logiq principals (Microsoft architects and UC Logic directors Nick Erikson and Scott Maynard), while UC Logiq can now leverage Pyrios’ project delivery services and network operations. UC Logiq will continue to trade under its own brand but will relocate to offices within Pyrios’ headquarters in Albany, Auckland, next month. O’Reilly said Pyrios required a deeper set of skills with Microsoft as clients progressed from piloting Microsoft UC to enterprise wide deployments that integrated on-premise technologies and cloud services. “UC Logiq’s experience in architecting and delivering UC strategies to large customers complements our existing capabilities and will be marketed to our clients,” she said. Erikson and Maynard have a long list of Microsoft and related certifications and have completed Skype for Business work for clients including Fonterra, New Zealand Trade and Enterprise, Bank of Queensland, and Queensland Alumina. As a Microsoft Consulting Services partner, UC Logiq is also authorised to conduct pre-sales consulting work on Microsoft’s behalf. Erikson said the trans-Tasman footprints of both companies coupled with Pyrios’ project management and network operations team would accelerate his firm’s growth. “We’ve had to turn down projects because we didn’t have the bandwidth to do the job," he said. "Joining forces with Pyrios gives us a bigger engine and establishes the region’s foremost UC consulting and project services firm." Last year, Pyrios, formerly known as Agile, inked a deal with Interactive Intelligence to expand its portfolio by bringing cloud contact centre services to the New Zealand and Australian markets. Pyrios has 80 employees and offices in Auckland, Wellington, Sydney, Melbourne, Canberra, and Perth.